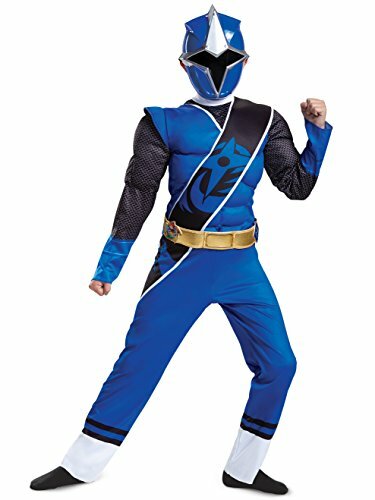 From the hit show power Rangers Ninja steel comes this very cool Blue Ranger Muscle costume including a printed Muscle jumpsuit and 1/2 character mask. 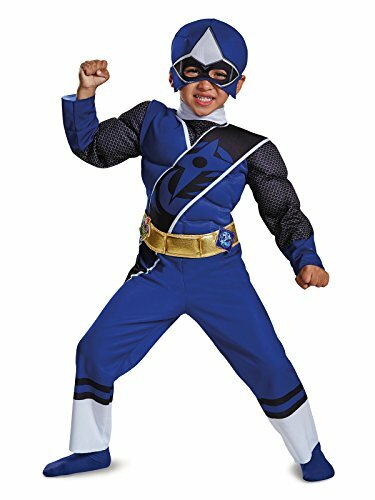 Officially licensed infant baby romper snapsuit for Power Rangers. 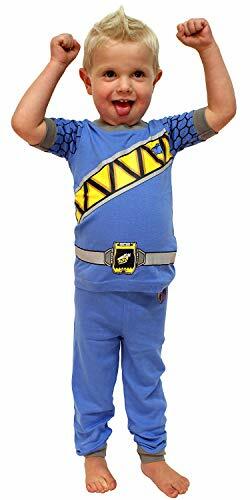 The perfect set of pj's for your Power Ranger fan. 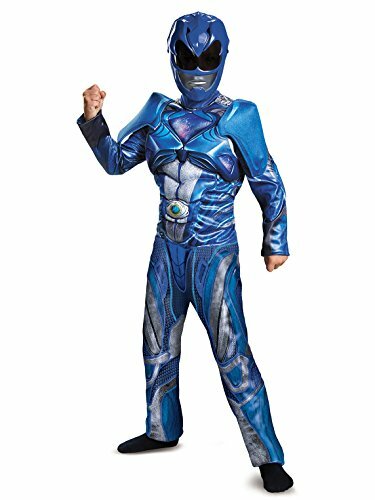 Light weight cotton pants and short sleeve top great with great Power Ranger Dino Charger costume designs. 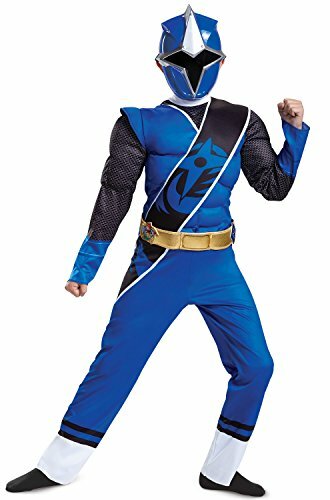 Tight fit set, recommended to size up 1-2 sizes for a looser fit. 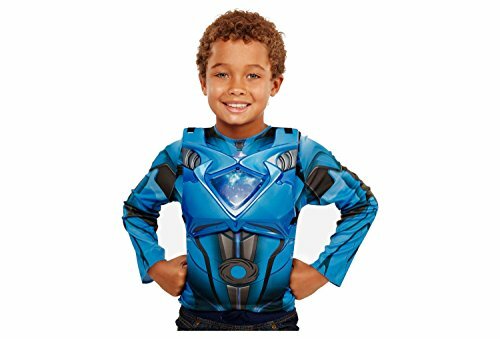 This item is not flame resistant, for child's safety they are made in a snug fitting cut. Size 4: Top Length 14 1/2" Width 10 1/2", Pants Length 25" Size 6: Top Length 16 1/2" Width 11 1/2", Pants Length 26" Size 8: Top Length 18 1/2" Width 12 1/2", Pants Length 27" Size 10: Top Length 20 1/2 Width 13 1/2", Pants Length 28"